Spring is coming up and in the spirit of enjoying spring, why not get a nice trim and even add in some color? With the snow gone and sundresses out, your hair too needs a refresh. Getting rid of all of those dead ends that gathered up during winter or just giving yourself a new look is a great way to start the new season feeling refreshed and ready to go! Your color should be a reflection of who you are. Your personality, your likes, your mood and everything you stand for. So don’t get caught up trying to go with the color of the year. Instead choose from the following incredible seven choices of hair colors. They’ll have heads turning and give you the confidence to face Spring in style. The theme color this year is purple and don’t be surprised to see several people going for tones of ultra-violet. However, we cannot all pull such a bold move on our hair but an ashy muted shades of lavender and violet is trendy, easy to wear and super funky. We don’t have to wait till summer to brighten things up. Why don’t you try out a few face shaping sections using caramel blonde. You cannot go wrong with that this spring. It’s elegant, bright and incredibly stylish especially if your hair is shoulder length. Guess what? Single treated hues are back and with them is the creamy strawberry blonde shades are at the top of that list. Try this look out and you will not regret. Platinum is not going anywhere but this year it’s taking an interesting twist. Instead of going for the one dimensional icy platinum’s, why not try deeply shaded, bold roots. With the roots exposed you will spend less money and time at the salon trying to get touch ups. If you’re feeling a little tired of platinum and bleach blonde, then honey blond tones are the perfect choice for you. They are warm and they will pop up in the spring making you stand out and look fabulous. This is a rich hue and some may argue it’s best suited for fall or winter but this beautiful color proves that richer hues can rock in spring too. The good thing about this color is you could wear it through summer as well. If you fancy rose gold but are not ready to commit to pink hair then blush highlights are the perfect match for you. They are wearable and low key giving you that touch of pink you desire without overwhelming the senses. You cannot take a risk when it comes to glamming yourself that is why I recommend getting your spring haircut and hair color done at the Clayton Hair Salon. It is located on the 2nd street, Downtown Clayton NC. 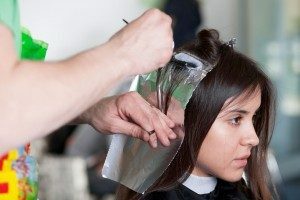 The stylist there are all licensed and capable of working with whatever request that you may have! No matter who cuts your hair, you’ll leave satisfied and looking good! Visit their website at http://claytonhairsalon.com/ .